Uganda is a beautiful country, known as the pearl of Africa. There are many stories that come out of Uganda — of heartbreak, of poverty and of conflict. And then there are stories of joy and empowerment, of laughter and success, of stability and prosperity— stories that make you smile and your soul expand with pride and gratitude. You can be part of these joyous stories as the Kain Foundation sets off on our next annual immersion trip to Uganda on 11-18 August 2018. This trip gives you the opportunity to take part in responsible tourism as you support local communities and honour their way of life and the places you visit. The Uganda Project is an initiative where Kain Foundation’s corporate partners and community members have the opportunity to give back to the community in Uganda. We believe it is possible for children to break the cycle of dependence and welfare so they become enterprising members of their community. 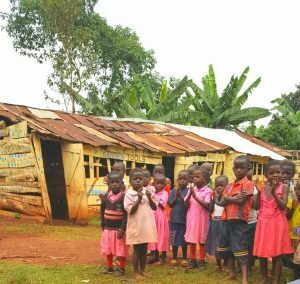 With our Uganda Project, Kain Foundation’s corporate partners and community members have the opportunity to give back to the community in Uganda through investment in education and through economic development for children and their families. Since 2009, the Foundation has worked with communities to build homes for 48 children and three widows, lavatories, teacher’s homes and provide educational materials for over 150 children. From 2016 through 2020, our Uganda Project is creating opportunities for children and youth living in poor rural communities surrounding Kampala to build healthy and self-sustained futures. There are two projects which are being currently funded by the Foundation in Uganda which you will have the opportunity to to participate through the Unite in Uganda: Kain Foundation Leadership Experience. The Kkoba Community project is jointly led by The Real Uganda and Hopeline Organisation. Established in Kkoba, an extremely poor rural village of 2,100 people, Kkoba is also home to Hopeline founder Tony Wanyoike. Tony knows firsthand the despair felt by the people in Kkoba due to lack of education, healthcare, and employment. On this trip, you will have a chance to talk to Tony and his family and learn more about their lives and how the project is helping his community. The Kain Foundation has provided funding for family and youth development workshops and seed capital to start a produce trading business. The community owns the proceeds of the produce trading business and has decided that a portion of the proceeds will go towards building a new school. You can see from the pictures below the new school will be a vast improvement on their old school! Already at the end of the first year, this project is seeing positive results — women and children are reporting less violence, farmers have increased incomes and can pay school fees, better communication within families and many can now afford to buy clothes for their children and pack school lunches. Youth training workshops have led to 90 youth apprenticeships in careers such as hairdressing, tailoring, farming, carpentry, and boda boda mechanics. 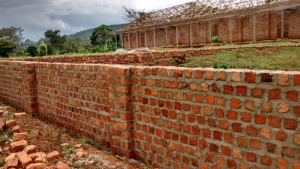 You will have the opportunity to witness the Foundation’s work at Kkoba and visit the new school built there as you spend time with children and help out in the school garden. The Junior Landcare project has its origins in the Australian Landcare movement which started in Victoria in the mid-1980s and has since spread globally. The Kain Foundation and Uganda Landcare Network jointly conceived the Jr. Landcare Project to create economic opportunities for children, youth and the community through education and practices of sustainable land and water management. This project is already showing positive results after the first year of funding. Four schools are covered under this project — Kaboyo, Kyassonko, Lubanda and Happy Hours Jr. School — where community tree nurseries have been constructed, tree seedlings have been planted and water harvesting tanks have been placed. Three teachers and three parent leaders from each school have been trained as facilitators and the children have the opportunity to learn Landcare concepts through drama and music activities. You will also have the opportunity to visit this wonderful project and witness the progress the project has made and the impact it has on the community. The Kain Foundation wholeheartedly invites you join us for the Unite in Uganda: Leadership Experience trip. By taking part in this trip, you will develop your own knowledge, confidence, and skills as well as give back to local communities as you create pathways for them to move out of poverty and despair to a life that is self-sufficient, empowering and happy. Thank you to Vollie volunteer and guest blogger, Meena for writing this story.